Kodak Hero 3.1 Ink Cartridges. That time again? Time to change over your Kodak ink cartridges for your hero 3.1 machine again? 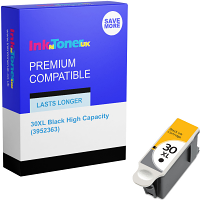 Don't worry we have it covered at inkntoneruk; the place for all your Kodak hero 3.1 ink cartridge needs. Cheap Kodak Hero 3.1 Ink Cartridges. 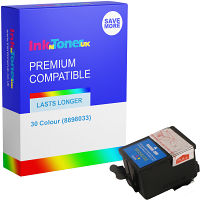 Not only do we have all the ink cartridges which you need for your Kodak 3.1 printer but we also we have your Kodak ink cartridges at unbeatably low prices. Find your Kodak 3.1 ink cartridges at a lower price and we will refund double the difference! 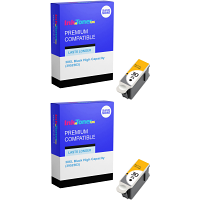 Yes that's right, double the difference for your Kodak hero 3.1 ink cartridges. Value Kodak Hero 3.1 Ink Cartridges. 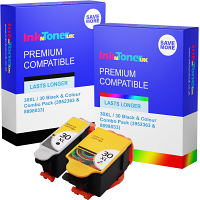 Not only do our ink cartridges for your Kodak hero 3.1 printer come with our fantastic price promise they also come with our superb product guarantee which gives you: High quality printing results Longlasting lightfastness and durability Bright vivid colour and deep, crisp blacks Consistent and reliable printer performance Please bookmark us for the next time you need to buy your Kodak hero 3.1 ink cartridges online and let us give you the best for less. Thank you for choosing inkntoneruk.